Many swimming pools were built as part of leisure facilities or schools. These typically comprised of a cast in situ reinforced concrete base and walls with cast in situ promenade decks around the pool. These structures are now often in severe distress due to corrosion of the reinforcement in the walls and promenade decks. All swimming pools experience galvanic corrosion if they use chlorine sanitizer. Chlorine is salt based, so by adding chlorine to a pool you are actually adding salt. A saltwater pool, however, has approximately ten times the salt level of a traditional chlorine pool. If a saltwater pool has ten times as much salt as a traditional chlorine pool, it means that the rate of galvanic corrosion also increases ten times. Corrosion prevention, often referred to as "cathodic corrosion prevention," is a massive field that touches an incredibly broad spectrum of industries, including maritime shipping, manufacturing, petrochemical, water distribution, food processing, major construction and even dairy farming. The use of cathodic protection to stop this degradation of the reinforcement has been developed to be the standard repair method. The use of anodes in the pool water has become the most popular system of cathodic protection of swimming pools. The anodes are installed in boxes, recessed into the pool side walls of the swimming pool. The economic benefits of this form of repair are so impressive that it is now being used worldwide. In this installation, the swimming pool walls and base are protected using anodes in the pool water. The support columns and other concrete parts which also suffer from reinforcement corrosion are protected by internal anodes placed in holes drilled in the concrete. The cathodic protection system is computer-controlled. This gives an accurate continuous control of the output current to each part of the structure based on real-time readings from reference electrodes. This gives a better and more even protection from corrosion, increases the life of the anodes and switches off the anodes in the water when bathers are in the pool. The computer control system has a modem and a telephone connection allowing remote monitoring and control of the system. Every swimming pool, and especially every saltwater pool, should have a sacrificial anode installed. The addition of this simple and low-cost device will dramatically reduce the damage a pool experiences as a result of galvanic corrosion. While you may still experience localized anodization and oxidation of metals in a pool, especially in situations where two different metals are in direct contact, a sacrificial anode is the bare minimum level of protection that every pool needs. It is absolutely silly to not have one of these — plus they can easily be adapted to any existing system. A tunnel or bridge structure exposed to salt water can expect corrosion of the embedded steel during its service life. Cathodic Protection (CP) has proven itself as the only permanent repair of existing corroded steel reinforced concrete. Many underwater tunnel structures have been experiencing water leakages worldwide. 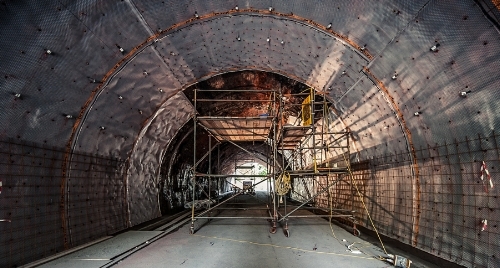 Tunnel structures experiencing water leakages are not only old, but also new in some case. 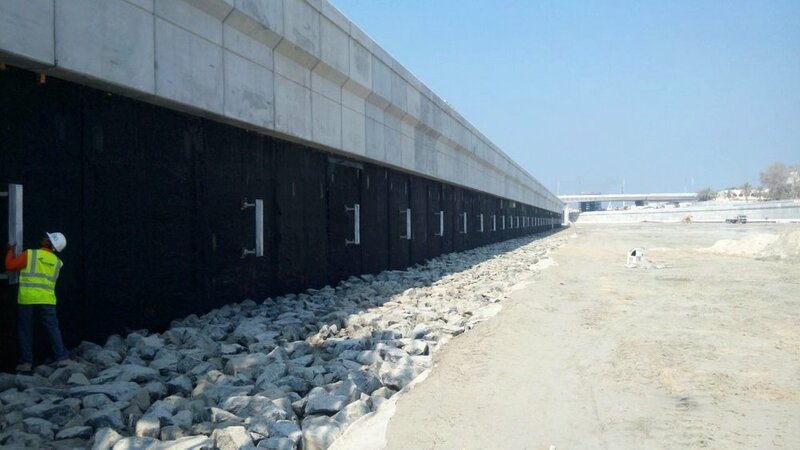 The concrete tunnels structures located underwater are generally protected by waterproof membranes as the first defence to prevent water leakages and rebar corrosion. However, once water leakage occurs, the corrosion mechanism is quite different from other concrete structures which are exposed to marine or de-icing salt environments. When rebars corrode in concrete, the accumulating corrosion products develop expansive force and crack the concrete. When the concrete cracks grow, the concrete spalls and falls to the roadway. For the based slab, concrete spalls create potholes on the driveway. Therefore, it is important to clearly understand the corrosion condition of the rebars in the tunnel caused by salt water leakage. Why does the durability of bridges, multi-level car parks, supporting walls, tunnels and sea water structures decrease? The main problem is the de-icing salt on the streets. These salts contain chlorides which penetrate into the constructions and destroy the protective layer of the rebar - the consequence: corrosion. These factors together with a too thin concrete cover and too low density as well as changing weather conditions and humidity lead to an increased risk of corrosion. Corrosion of the rebar reduces the steel cross section and as a consequence the support safety. Furthermore, it cause cracks due to the increased volume of the rust. Factors of influence on the corrosion risk of the rebar. Certain methodology must be developed to remediate the corroding steel and mitigate further corrosion on mild steel components and reinforcement. This would allow the tunnel to achieve its required life with minimal ongoing maintenance. This involved the repair of damaged concrete, encapsulation of mild steel bolts and application of cathodic protection. a) Ribbon/discrete anodes in slots/ drilled holes in the concrete. b) A distributed anode system along the full length of the tunnel.